Our Michigan genealogists are available to research on location. They will find and analyze the best records available to further your family history research. They can search the archives and libraries in Michigan, as well as help you with other special requests. Our genealogy researchers are available to visit local archives and libraries to access unique record collections to help with your research. Below is a list of the archives our Michigan genealogists may access to help you in your research. The archives here at the Michigan Historical Center contain articles that date back to 1792. It preserves records from the Michigan government as well as other public institutions. All in all, these records number at more than 80 million state and local government records, private papers, 300,000 photographs and 500,000 maps. The archive vital records include birth records from 1867 to 1872, and death records from 1874 to 1969. Visitors can also find marriage records from 1853 to 1974. The military records here have information on the Civil War, Spanish-American War, World War I, World War II, and the Korean War. The Library of Michigan is home to an extensive collection of archival materials with information on Michigan, Ohio, New York, and parts of New England. Our Michigan genealogists can find articles specifically discussing immigration from these areas to Michigan. The Library of Michigan is home to the largest collection of archived newspapers in the entire state. The collection spans over 200 years of history and contains newspapers from 83 counties. One of the main collections at Lenawee County includes an extensive amount of county birth and death records from 1867, county marriage records from 1853, and county land records from 1827. Visitors can also access county probate records from 1827 and county court records from 1870 through this archive. 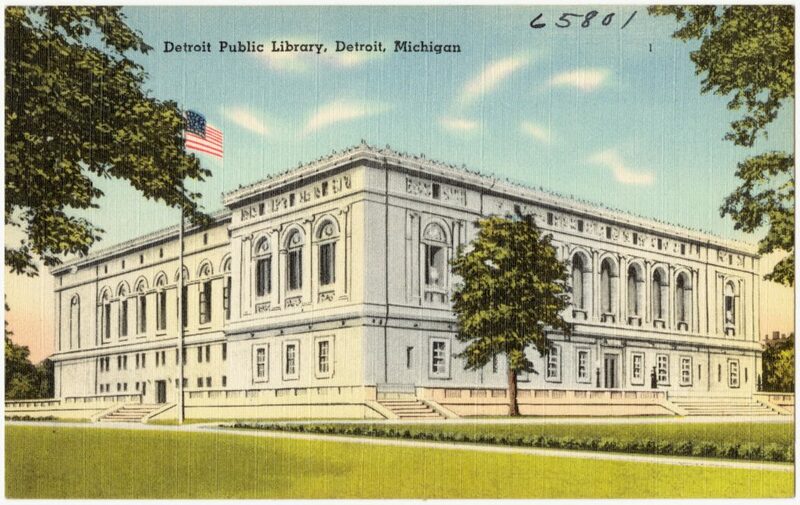 The Detroit Public Library holds the Burton Historical Collection and the Detroit Society of Genealogical Research. The Burton Historical Collection focus on Michigan’s early history as a 17th-century colony. Our Michigan genealogists can access more than 30,000 volumes, 40,000 pamphlets and 500,000 unpublished papers in this collection. In addition, the library provides information about the Great Lakes region as a whole, including Canada and the surrounding French and English population, and the history and development of the automobile industry. The Genealogical Society of Monroe County (GSMC) Archives have impressive collections of genealogical information. The Betty Gay Collection consists of obituaries, death records, family group sheets, and pedigree charts for over 5,000 people. The archives also hold an extensive index specifically for obituaries from the entire county dating from the 1830s to the present. The Monroe County Historical Museum, associated with the society, has 2,000 folders about Monroe County Civil War soldiers. Again, our Michigan genealogists can directly access these resources to help with your family history needs. 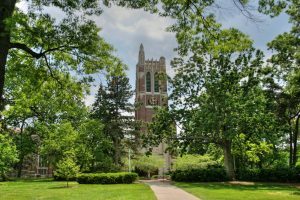 The Michigan State Archives includes vital records spanning more than 100 years, containing birth records (1867-1872), marriage records (1853-1974), divorce records (1874-1969), and death records (1867-1960). The probate records and indexes cover 1797-1912. The archives are also home to military records from the American Civil War, Spanish-American War, War World I, War World II and the Korean War. Records on military service and veterans not geared to any one specific war are also housed in the archives. Additionally, the state archives contain naturalization records from 1840 to 1985. There are even more records on Monroe County in the county courthouse. These include birth and death records from 1874, county marriage records from 1818, and county land records from 1806. Visitors can also find county probate records from 1807 and county court records from 1805. The G. Robert Vincent Voice Library, which holds over 40,000 hours worth of oral recordings that date back to the late 1800s. Over 100,000 thousand different individuals have been recorded. The university’s Government Collection, containing over 3 million government documents from national and international sources from the United States Government, the Canadian Government, the State of Michigan, and the United Nations. Microfilm Collection, which contains 119,000 reels of microfilm and 1.1 million microfiche and microcards. The Grand Rapids Public Library has actively solicited the community for genealogical information for many years. It’s well known for their archives of unpublished family histories. The library has over 450 archival collections documenting the people and organizations of the Grand Rapids area. In addition, the library contains hundreds of biographical files on different citizens of the region. Written histories of Lenawee County, as well as the cities and town within the county (including Adrian, Tecumseh, Blissfield and Addison). Adrian city directories from 1859-1998. The archive also contains many genealogical records that may be helpful in your research. Both Adrian city tax records (1865-1906) and Lenawee County tax records (1840-1915). School yearbooks, scrapbooks and business ledgers. Vital records, including marriage, birth and death records. Documents related to railroads, military, the Underground Railroad and prominent Lenawee County citizens. Indexes to cemeteries, surnames, obituaries, oral histories and even cookbooks. Bygones of Monroe, which are glimpses of life in Monroe County history taken from local newspapers. Census, tax, and church records. Documents regarding War of 1812 veterans buried in Monroe County. The Bentley Historical Library has a wide array of genealogy records. They have diaries, oral histories, and newspapers. The library also holds institutional records, books, essays, dissertations, documentaries, and films. The Burton Historical Collection is a repository of past records. The collection places an emphasis on the history of Detroit from the 17th century on. The collection includes family histories, hereditary society indexes, and heraldry books. Our Michigan researchers can also find federal census population schedules and land records at this collection. The church records include information regarding baptisms, marriages, and deaths, along with cemetery inscriptions and obituaries. Researchers can also access military, immigration and vital records. The manuscript collection numbers at over 4,000. There are other excellent resources for genealogical research of Michigan ancestors located in archives outside of Michigan. We have Trace genealogists working throughout the country who can investigate these archives for information about your ancestors. Below are some archives and libraries outside of Michigan which our genealogists can access for your genealogy research. The Allen County Public Library is the second largest genealogical repository in the United States and the largest collection of genealogical materials held in a public library. The archives include more than 350,000 printed volumes and 513,000 items on microfilm and microfiche. A selection of this massive archive is devoted to genealogical materials from the eastern seaboard area. Michigan records can also be found here. Records from the British Isles and Canada (some of their collection comes from Michigan as well). Genealogies, local histories, censuses, and indexes. Military, land, vital, court, and tax records. This library focuses on colonial North America holdings, specifically ones from New England. The library is also home to the Edward E. Ayer Collection, which is known as one of the strongest collections of Native American histories in the world. Edward Ayer donated more than 17,000 pieces on the early contacts between American Indians and Europeans in the early 1900s, and the collection has only grown since then. Now it contains 130,000 volumes, over 1 million manuscript pages, 2,000 maps, and 11,000 photographs. Our North Carolina genealogists specialize in researching several types of documentation and are not limited to the collections above. For more information or specific inquiries about our North Carolina genealogists, please feel free to contact us.